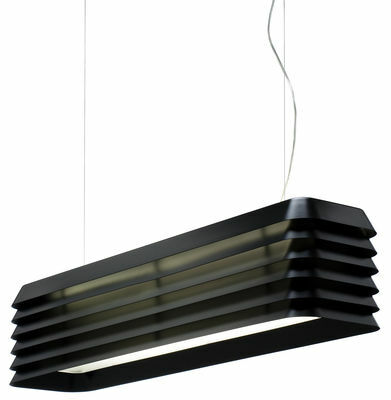 A variety of visual references can be detected in the form of the Louvre Light. Firstly, the shape and function of Venetian window blinds was influential, as was mid-century Scandinavian lighting, even the rear windows of 1980s ‘muscle' cars provided inspiration. Seamless pressed aluminium louvres with compound-curved corners are repeated layer upon layer in a manner that creates a multi-faceted shade able to provide glare-free, directional and ambient light. 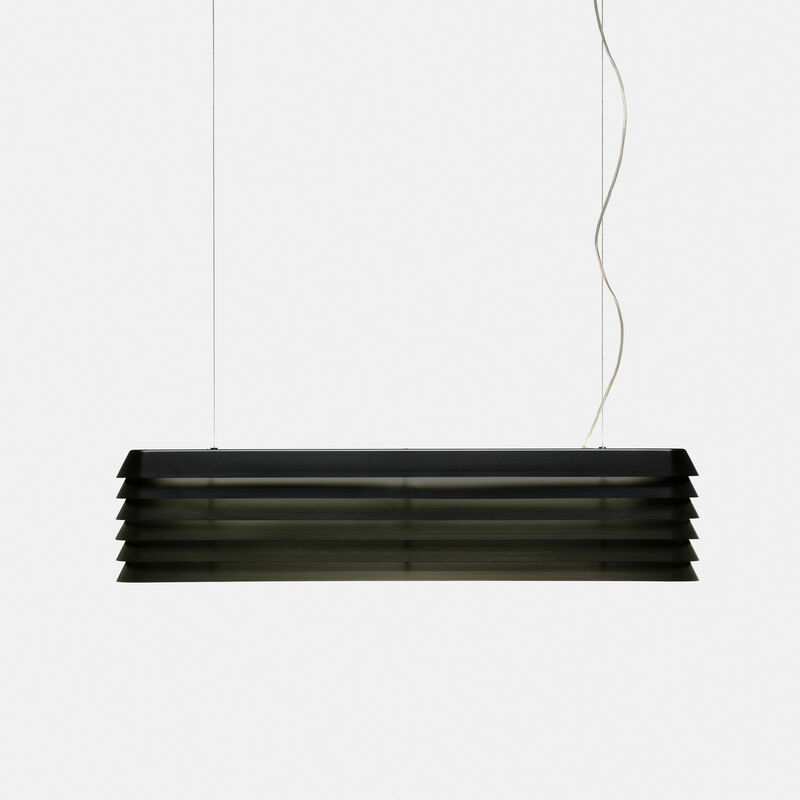 The Louvre Light is a practical light source capable of creating different levels of ambient light and acting as a formally enticing object in its own right. The proportions of the Louvre Light make it ideal for suspension over any sized dining table, it is available in three anodised aluminium finishes.